Sara has been involved with ECCOTA in varying degrees since childhood, volunteering and participating with programs and events. After moving back to Ridgway in 2008 she was asked to join the board of directors and was soon after elected President where she remained until being hired as a staff member in early 2016. 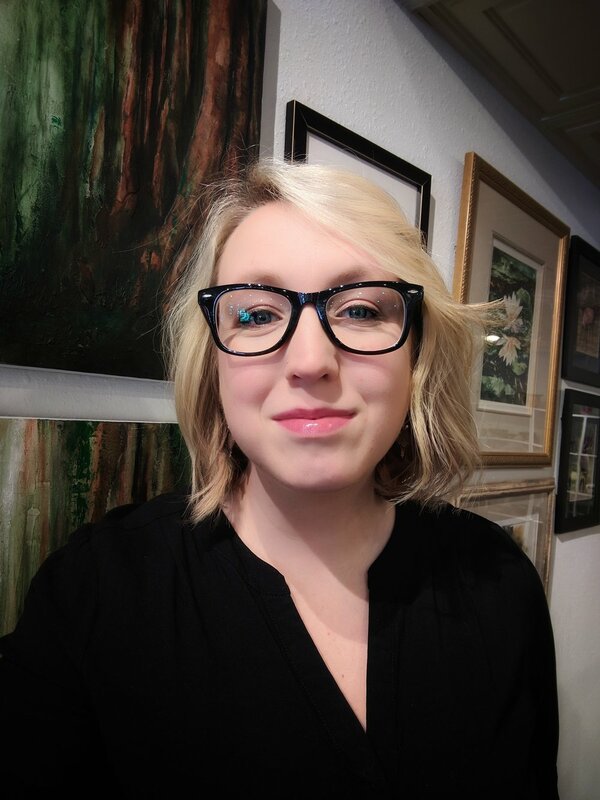 As a graduate of Lock Haven University with a degree in Communication Media concentrating in advertising and public relations, and a studio art minor, Sara brings years of experience in event promotion, marketing and advertising, working with non-profit organizations and small business owners, and a love for the arts. Sara and her husband Matthew can often be found hiking around the woods in Elk County with their rescue mutt or camping in one of Pennsylvania’s state parks. They’re both patrons of the arts in and around Elk County. Tia joined the ECCOTA team in the autumn of 2018 after spending several years teaching English at various universities across the northeast and working as an educator and community organizer with a local victim advocacy nonprofit agency. She studied English and creative writing at Penn State University, where she earned her BA in 2012, and West Virginia University, where she earned her MA in 2015. Her work is guided both by a love of the arts and a passion for helping serve the communities of the Pennsylvania Wilds. In her downtime, she loves to teach her infant son, James, about the wild world they inhabit and to curl up around the fire with her cats, husband, and a good book. Mr. Frank is a teacher at St. Marys Area High School and has been the regional POL coordinator since 2016. The Board of Directors regularly scheduled meetings are held the third Tuesday of each month at 7 pm. The Board of Directors do not hold a regularly scheduled meeting in July.